Mother Nature has her way of bringing out natural beauty. Below is a simple way of incorporating some into your own home. 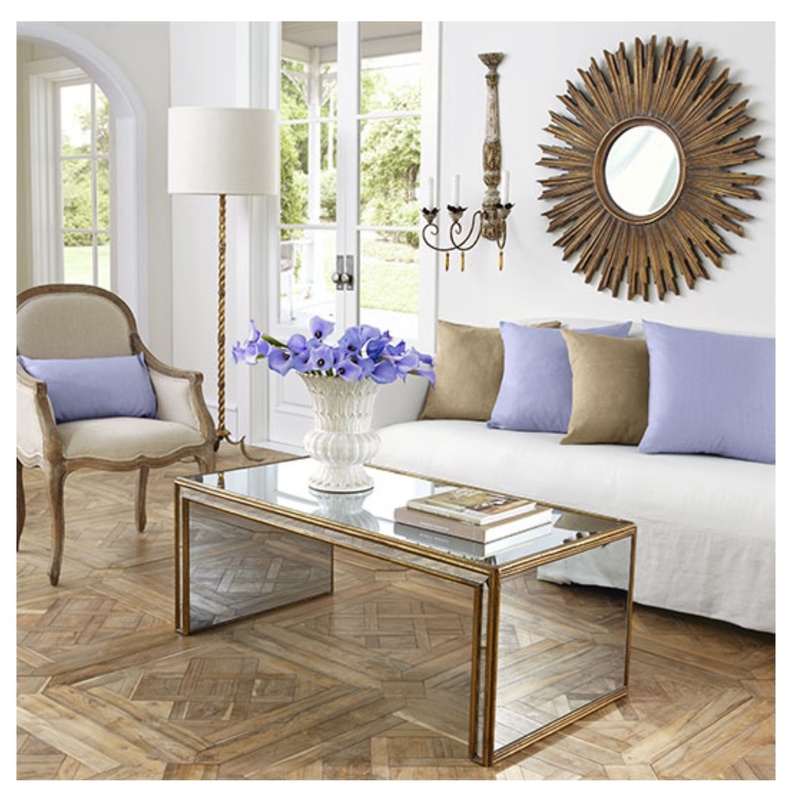 The parquet flooring left in its natural form gives a cute rustic feel to the living room. I like the sun beam mirror too which complements the decor. Thanks for viewing! !